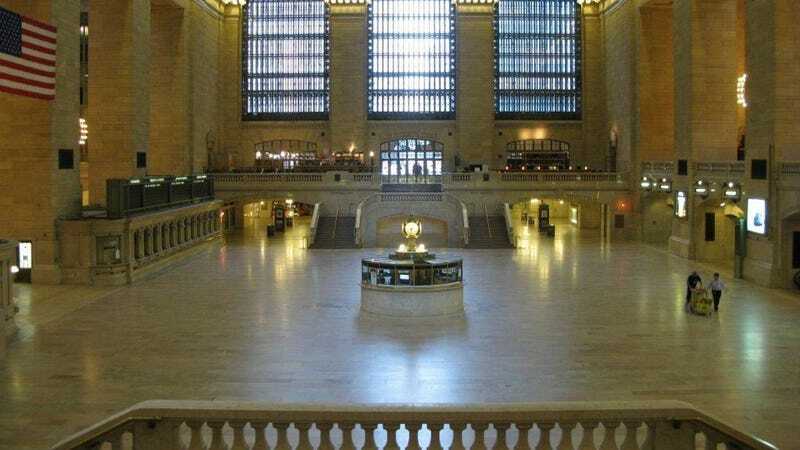 This photo from the New York Metropolitan Transit Authority (MTA) shows something never seen - and certainly not on what should be a busy Saturday afternoon in August: an empty Grand Central Station. With all transit in the New York area closed, the terminal is a big empty barn. If you're watching TV news they'll probably call it "Death Central Station." As a survivor of the last major hurricane to hit the U.S. (Hurricane Ike) and as someone who has survived numerous storms this is all just a little amusing. Not to minimize the real possibility of flooding and storm surge in New York and elsewhere, but a Cat. 1 hurricane is what we call "a light breeze." Here's hoping they're paying the two guys keeping the hall clean time-and-a-half.